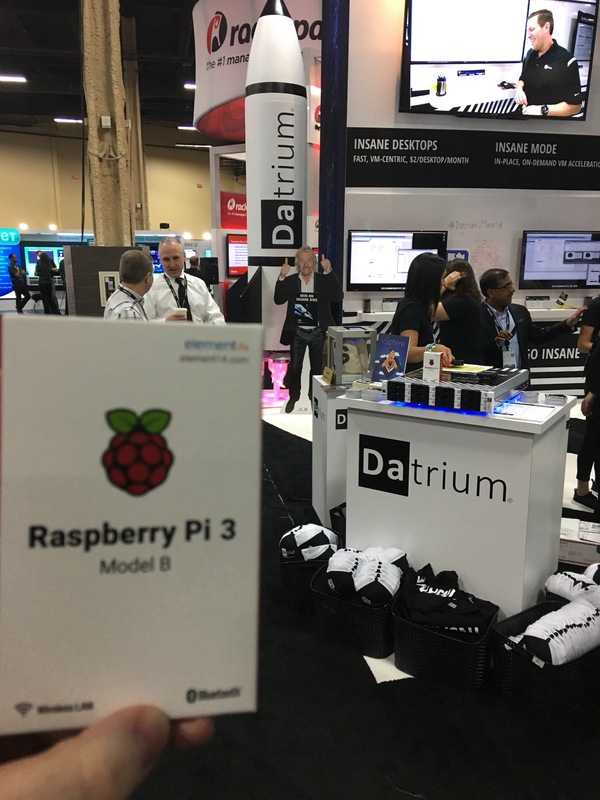 They gave out a Raspberry Pi 3 to all vExperts who had registered. 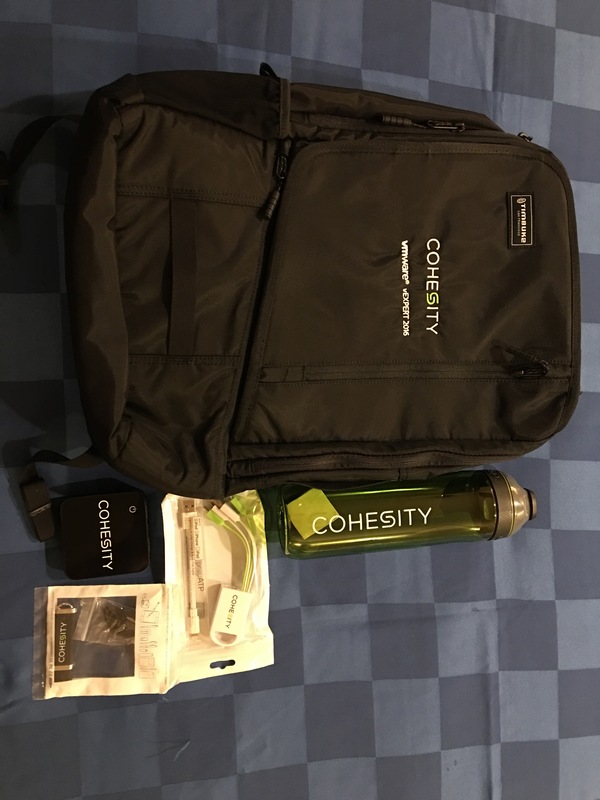 Cohesity had a really nice Timbuk2 backpack with a 6000mAh power bank, charger cables and a water bottle also a very nice and useful gift. Over at the Nimble booth they gave out t-shirts, unfortunately the largest was XL and not American sizes. Docker gave out a vExpert Cap and a T-shirt if you sat in on 15 min session about docker, by a very enthusiastic speaker. I saw that both Datacore and Catalogic Software had something too, but didn’t get around to picking those up. 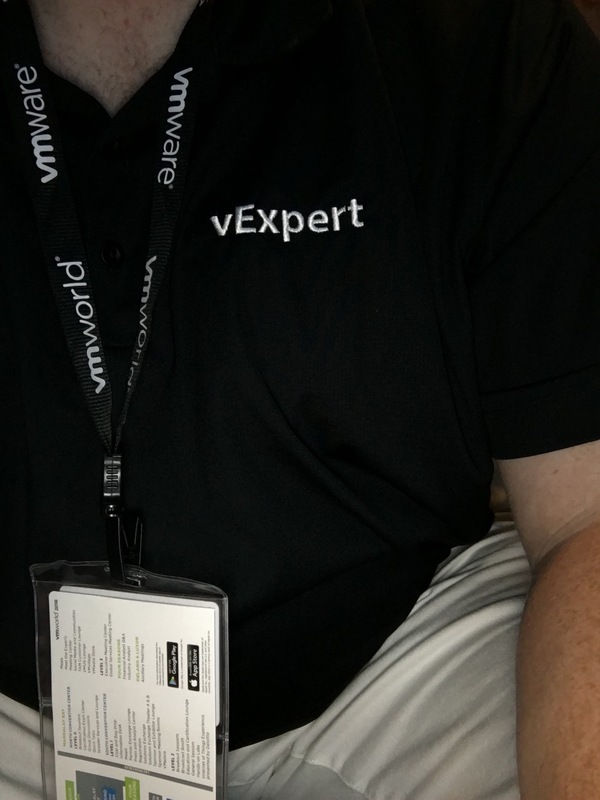 Only sad thing this year is that no one did the really nice vExpert Polos, that I see a lot of fellow vExperts wear at VMworld. But a BIG thank you to all the companies that decided to do something for the vExpert community.